Nothing much has changed in Nifty charts based on yesterday's trading. 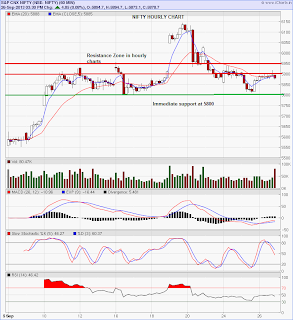 As expected, Nifty was extremely volatile within a range. Clearly, there is resistance at higher levels. 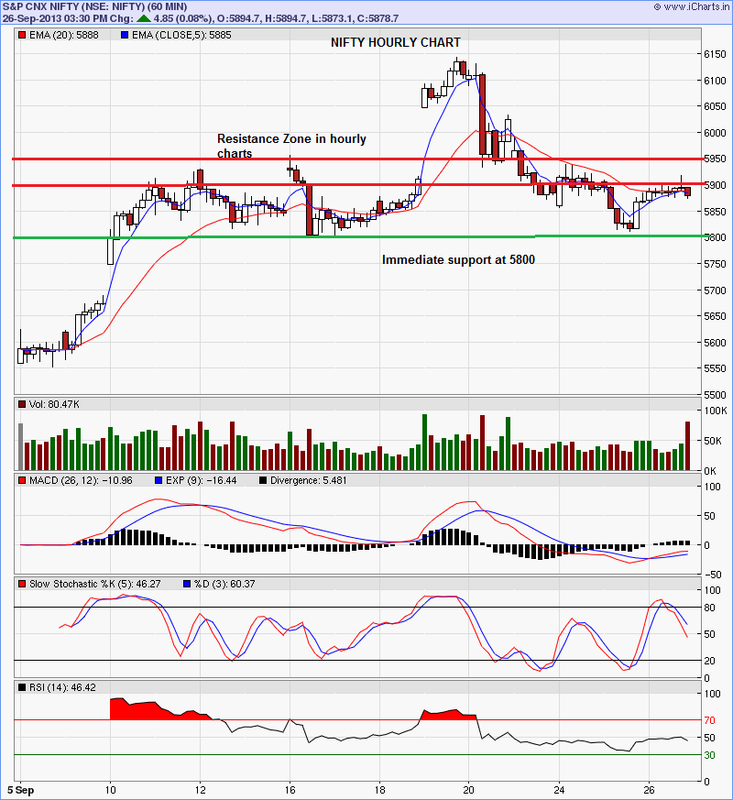 Base continues to be 5800-25 and resistance continues to be 5900-50 zone in the hourly charts. For trading on Sep 27, Nifty will be positive above only above 5900 with a tough resistance at 5950 and 5980 levels. Going below 5860 will be quite negative for Nifty. Long unwindings will happen below this level.